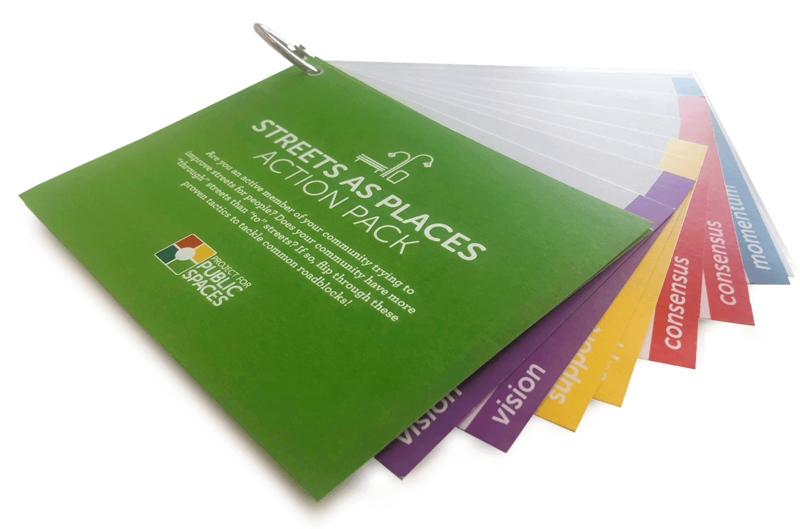 The Streets as Places Action Pack: Download the full Deck of big ideas or a One-Pager about the project. Are you looking to create better streets in your neighborhood or community? Have you gotten discouraged by bureaucratic red tape or simple lack of communication? 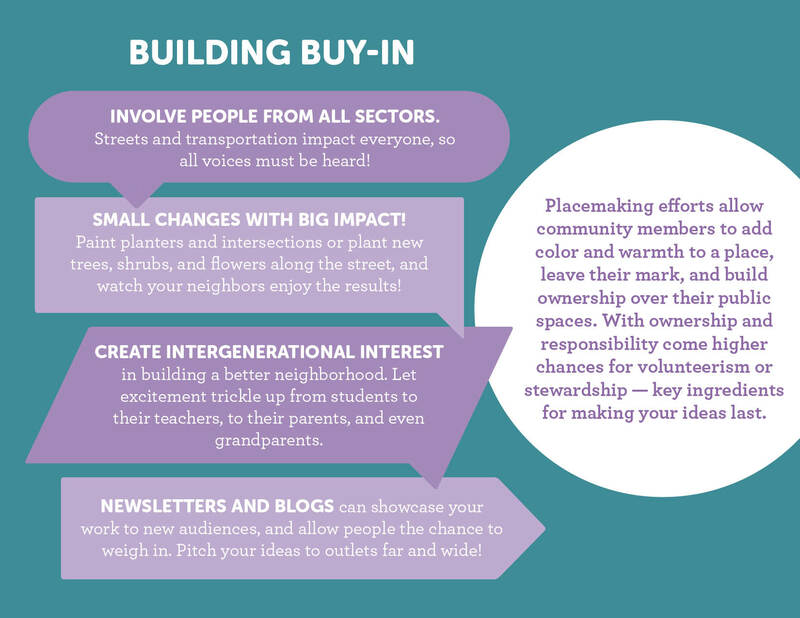 Or, are you passionate about great streets but struggling to get neighbors or city officials to share your enthusiasm or vision for people-centered public spaces? As part of our Transportation Program, we conducted a “scan,” speaking with 20 community advocates who shared their successes, failures, and big ideas for making change happen. What we found was that, when it comes to streets, the success of a project often comes down to how successfully grassroots advocates are able to confront common roadblocks. 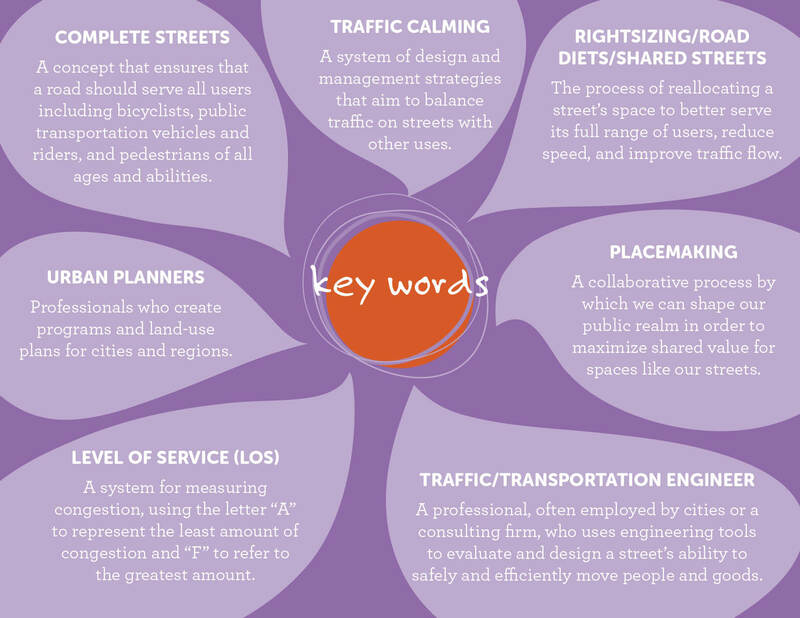 So, from visions to political buy-in to sustaining momentum, we created a roadmap to help improve our streets. You can use the deck in any order, depending on where you are in your community. But, if you're just getting started, we suggest starting with a vision, then building support and consensus, and finally sustaining momentum. Having a consistent vocabulary among all players helps to communicate your vision effectively, build trust and confidence, and leads to a more efficient process of physical and policy change. The Streets Illustrated Guide shows and explains street design possibilities from the bustling urban core to quiet neighborhoods and explains what works where and why. Better understanding yields greater support. 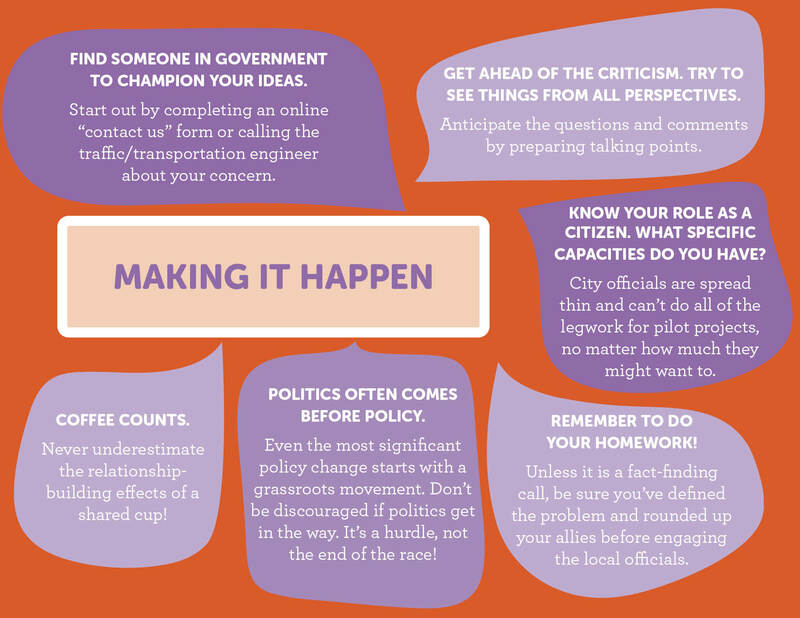 To get people on board and reach your desired outcome, help your neighbors and officials develop a shared vision and build consensus on how it will impact them. StreetMix is a free online tool which allows anyone to design great streets and share their vision with the community. Recognizing the skills and power you have as an engaged member of the community is the first step in leveraging your ability to create change. The URBACT II Local Support Group Toolkit is an excellent resource to reference for advice on engaging with local stakeholders and action planning. 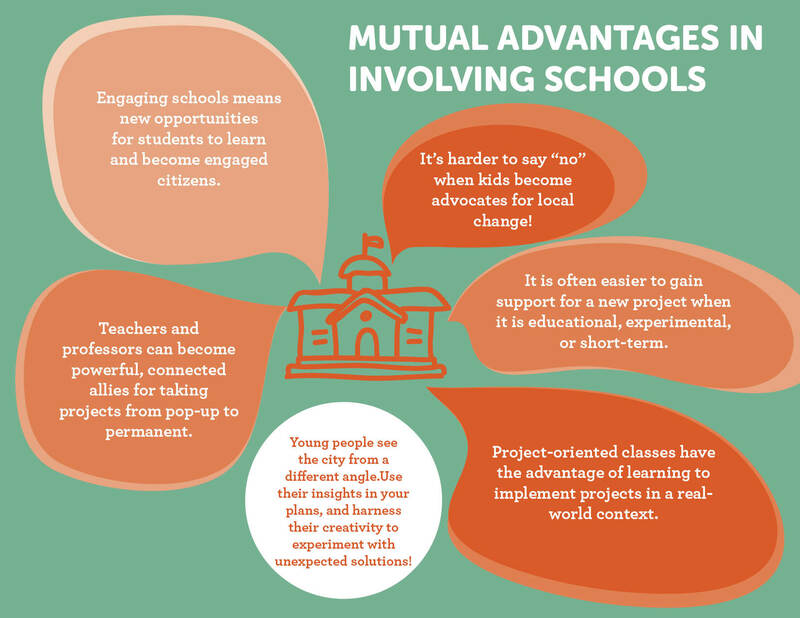 Engaging students of all ages is one of the best ways to enrich their educational experience while building place attachment and creating bridges between communities, government, and the streets they share. Y-PLAN (Youth- Plan, Learn, Act, Now) is a program out of Berkeley, CA which equips high school students with the tools and confidence to work with city officials to reform the way our cities and schools run. Technical experts can help locals imagine design possibilities and opportunities for policy change while being a needed "reality check" for what is feasible. 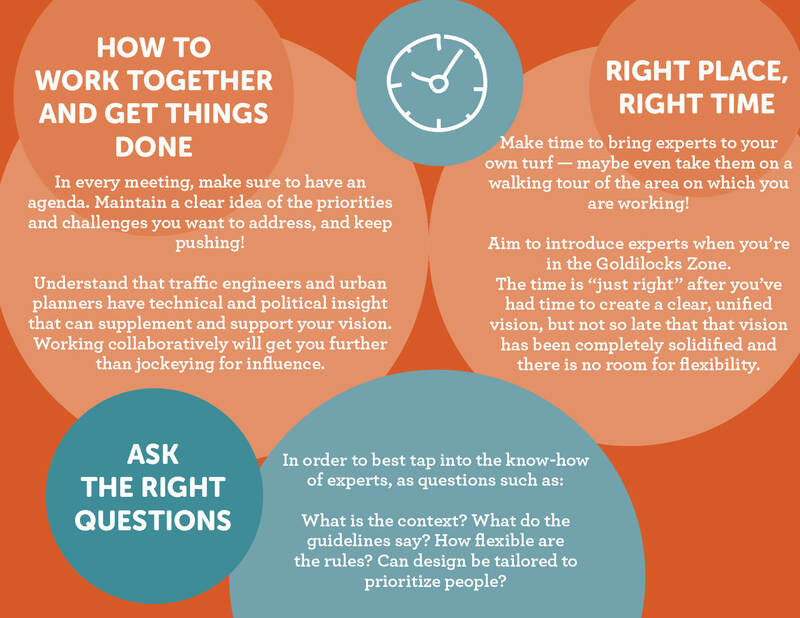 Chapter 5 of A Citizen’s Guide to Better Streets details how you can influence the final outcome of road projects, and includes a 10-Step Checklist of Positive Actions. Build a collaborative, not adversarial relationship with your city officials; they are often your most important allies. Wikihow has a general guide on how to make a comment at a city council meeting, and in A Citizen’s Guide to Better Streets Chapter 9 is all about dealing with government bureaucracies. 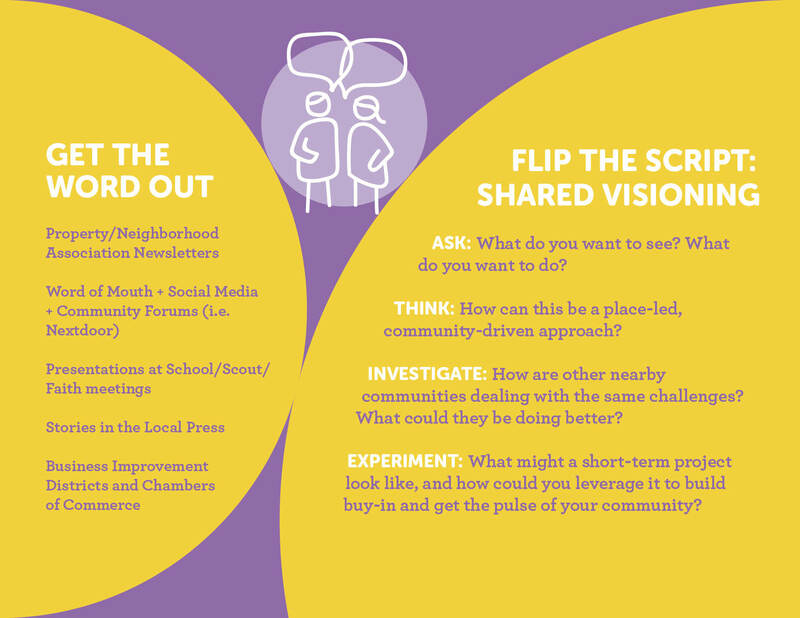 You're engaged and excited — now, how can you get your community to become part of the momentum? The Ikea Effect explains why we care more about the things that we choose, touch, and create. Thank you to all advocates, engineers, and city planners at these organizations, for making this Action Pack happen!